Fresh & delicious organic fruits, veggies, oats and botanicals blended with the highest quality of plant-based PREBIOTIC ACACIA FIBER make it fun and easy to feed the good bacteria in your gut everyday! Gutzy Organic uses only the purest, highest grade of PREBIOTIC FIBER straight from the sap of the Senegal Acacia tree in order to ensure that your microbiome gets the highest quality gut food it needs to thrive daily! Our organic African soluble Acacia Fiber is second to none. 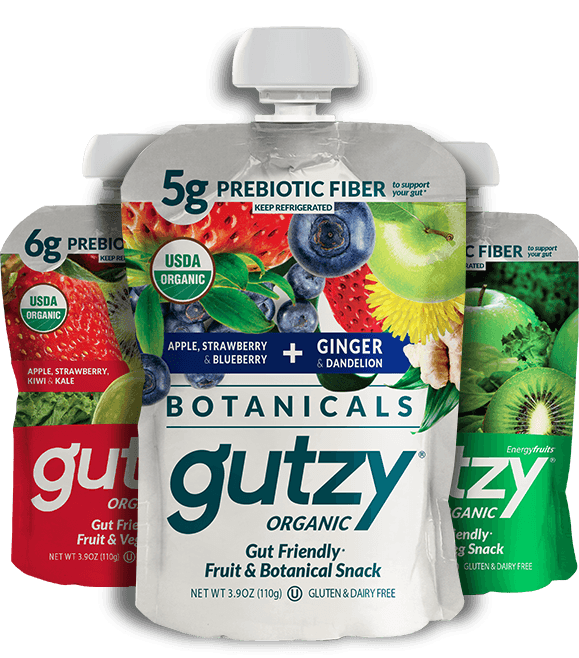 Gutzy Organic makes having a healthy, happy gut, fun and easy. Our Delicious fruits, veggies, oats and botanicals are not only a joy to eat but our gut friendly prebiotic fibers go to work in your gut, feeding your good bacteria. A no brainer, everyday, if you ask us! 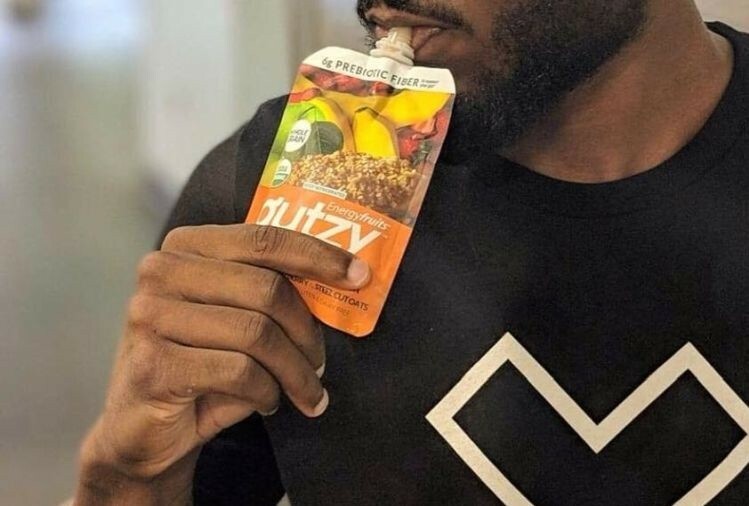 The latest innovation from gutzy is a fruit and steel cut oats pouch, which is merchandized next to refrigerated oats brand Mush in a new refrigerated overnight breakfast category in Kings and Balducci’s stores in New York and New Jersey .